The GUI is available in both Japanese and English. We can provide support for your globally expanding business, and English-speaking MDM administrators. Our MDM engine has been designed, developed, and tested in English, and is capable of multilingual support. More languages can be supported when necessary. 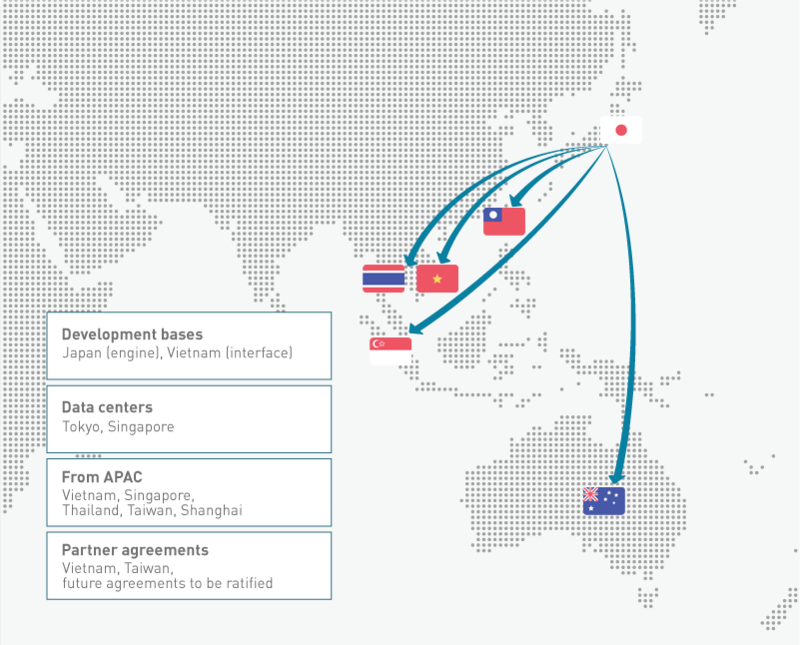 Our service locations have expanded to include Southeast Asia and APAC, in addition to those in Japan, and partner contracts are available in Japanese and English. In order to comply with laws and regulations of each country, region, industry and business conditions, we provide choices where to store their device configuration information for MDM. By this, if you do not warrant highly security data to be stored overseas or in other regions, our MDM services provide a few locations to choose from. For Asian regions, we offer our services from the Singapore-based AWS, where there is little network latency. BizMobile Go! has been developed and operated to serve businesses that are expanding globally. It has functions that allow you to set detailed access privilege settings that can authorize/unauthorize usage based on locations. Operations can also be tailored to fit the conditions of a given region.